We enable smarter solutions. We help define and accelerate digitalization and transformation. Our Smart Solutions are built with our unique and proven Smart Design, Build, Run, and Optimize Framework Solutions. These frameworks consist of proven strategies, processes, and best practices on how companies design, build, run, and optimize all elements of planning and operational execution. 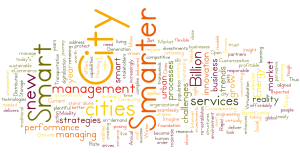 We are experts in Smart Cities, Energy, IoT, Telecommunications, and Software markets and technologies. Consulting Services: Corporate Strategy, IT Strategy, OT Strategy, IT/OT Management, Technology Governance, Technology Assessment, Technology Architecture, RoadMap Development, Innovation Management, Business Models, Business Cases, Marketing Strategy, Product Strategy, Services Strategy, Market Development, Channel Development, International Development, Go-To-Market Planning, Pitch Development, Funding Strategy, and M&A Strategy. 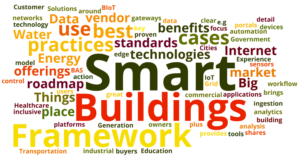 Technology and Market Expertise: Smart Grid, Microgrids, Smart Pipes, Smart Metering, Smart Devices, Smart Buildings, Energy Storage, Distributed Generation (CHP, solar, wind, fuel-cells), Electric Vehicles, Energy Management Systems, Network Management Systems, Enterprise Software, Embedded Software, Cloud, Big Data, Mobile, Security, Telecom Networks, and Internet of Things. CMG only hires experienced, passionate and very bright individuals that understand our mission of defining and accelerating the Energy digitalization and transformation of Cities, Utilities, Enterprises, Vendors and Startups.